Cinnamon of Command Mission Fame is back. 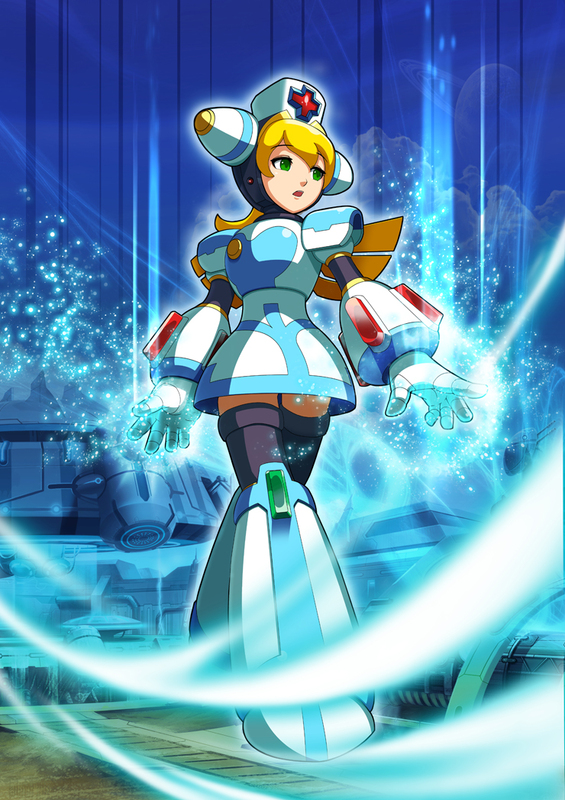 Neowiz have revealed the Reploid will appear in Rockman Online alongside the likes of X, Zero and Duo. Cinnamon will take on the role of a support character, capable of healing other players via the Great Force Metal embeded in her chest. Story-wise, Cinnamon apparently has visions of a fabled Neo Arcadia where humans and Reploids live side by side. Largely believed to be a side effect of the Force Metal, Duo however, believes these visions might hold some truth. On the subject of Rockman Online's unveiling this week, Pmag also announced plans to roll out a new animated trailer for the game once the event kicks off. A single screenshot from the teaser can be seen here. I forgot about her since I never got far in Command Mission (disc got screwy for some reason). And I love me some new animated trailer! Yeaaaah... this game will probably be awful, but I sort of don't care. Then again, I doubt this game takes continuity into account, so who knows? along with all the other Command Mission characters. They already referenced Axl as a historical figure in one of the very first blog posts. He just wasn't one of the ones who was copied yet. So... would it be wrong to think the force metal equipment system might be carried into MMO?